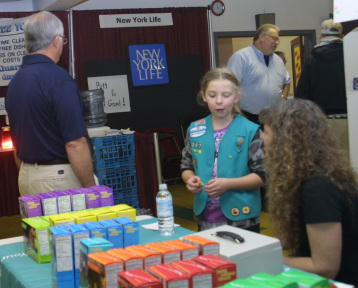 The Tecumseh and the Johnson County area includes several active troops of Girl Scouts from the youngest Daisies and Brownies to the older Juniors and Cadettes. So, depending upon your daughter's age, there is a group just for her. To find our more about troops in your area, please visit their website at www.girlscoutsnebraska.org, click "Registration" or you may contact your local area specialist Leticia Meitzen at lmeitzen@girlscoutsneberaska.org or 402-937-2254.